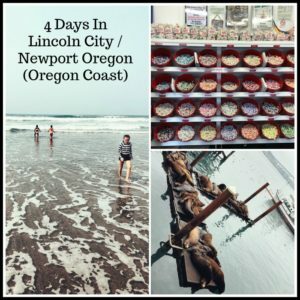 Looking for budget friendly vacation ideas for the Pacific Northwest this year? 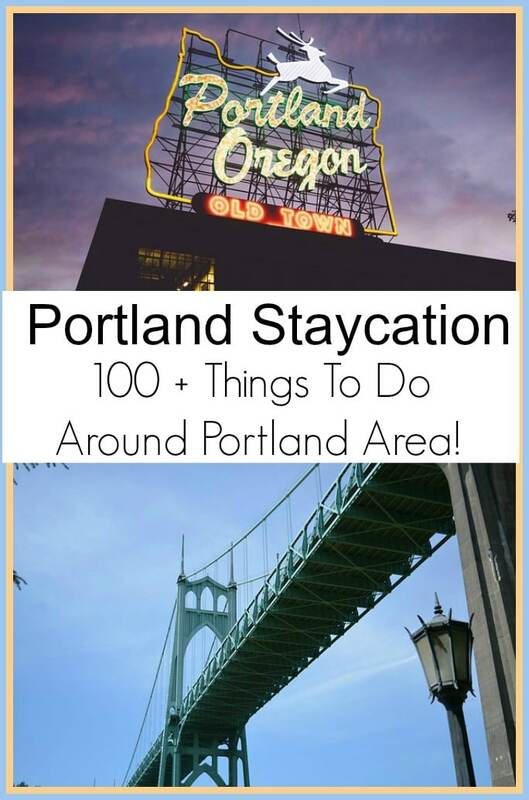 With the high cost of airfare, you might want to consider taking a “Staycation” in Portland! There are so many things to do in Portland. With everything from parks and forests to tram rides and zoo animals, there is truly so much your whole family will love! We have compiled a huge list of things to do in Portland that are totally budget friendly! 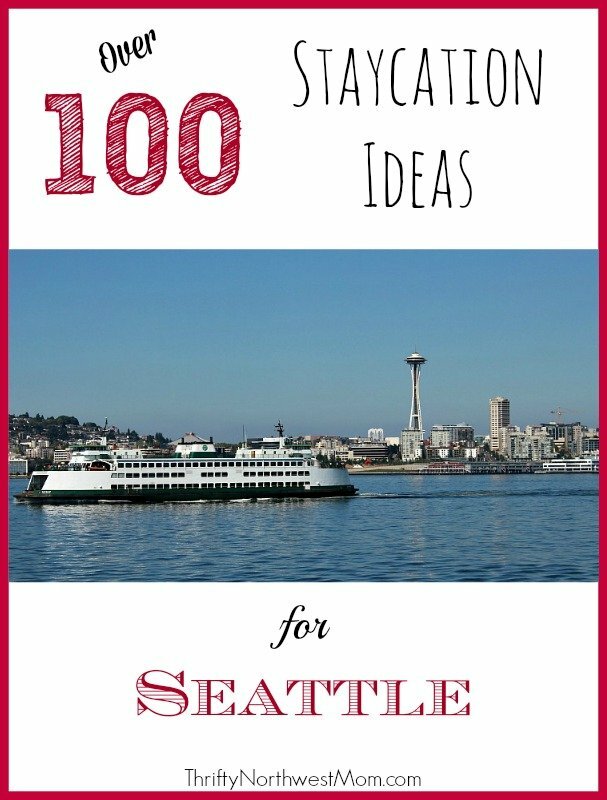 Not only are these all fun activities for a local staycation, but it also makes for a great guide of affordable things to do if you’re looking to make a fun vacation coming from the Seattle area or other nearby locations. Let us know if you have favorite frugal family activity in the Portland area that we missed and we will be sure to add more! There are also some fun nearby trips (like Mt. Hood) so be sure to check out our Portland Travel Reviews page here for more ideas. Looking for someplace to stay in Oregon? 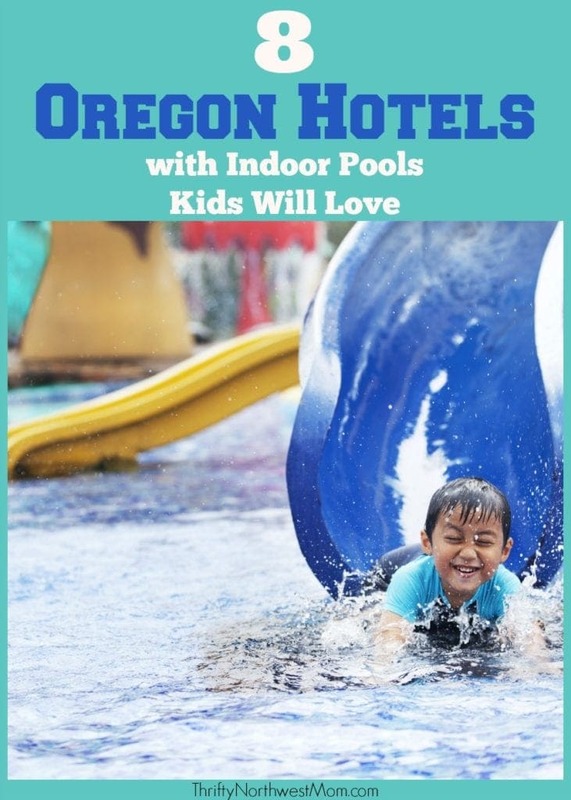 We also have this list of 8 Oregon Hotels with Indoor Pools Kids Will Love + a Few Unique, Year-Round Outdoor Pools & Aquatic Centers! Jamison Square– A great place to cool off and enjoy the outdoors! The square features a fun with cascading fountains and shallow wading pools. Powell’s City of Books – A true landmark of Portland! This bookstore is one of the most popular bookstores in the world! It is so huge it covers a whole city block! Oregon Rail Heritage Center– If you have a train lover in the family this place will be a huge hit! From Thursdays – Sundays you can visit this super cool center filled with all things train for FREE and ride the train on Saturdays! Portland Courthouse Square– Such an awesome location to take a lunch or even grab food from the visiting food trucks. The square also hosts a number of events in the summer. Audubon Society of Portland Sanctuary– Totally FREE to enter and it hosts an abundance of nature and including wildlife. Portland Fountains – Set out on a citywide adventure and check out all of the many different kinds of fountains around Portland! Many open around May 1st. Free Lunch + Play Program – these offer “mobile play” programs that bring recreation + lunch to children at apartment complexes in neighborhoods where parks and playgrounds don’t exist. Oregon Museum of Science & Industry (OMSI)– One of the nation’s leading science museums and a real hotspot for families. You and your family can experience what an earthquake feels like, a planetarium, climb aboard a retired Navy submarine, and so much more. Portland Children’s Museum – This museum is located in the historic Washington Park and it is perfect for the smaller crowd. The museum has tons of hands on learning and exploring activities for kids. Admission is $10.75 for adults and kids under 1 get in free. 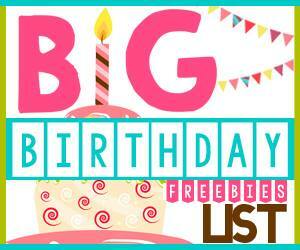 You can also get in for FREE on the first Friday of every month! World Forestry Center Discovery Museum – This museum is filled with awesome interactive exhibits that focus on preserving forests and trees around the world. Portland Art Museum – This family museum is located in the historical district of Portland and is one of the oldest museums around with a very exciting art experience to be had! They are open from Tuesday to Sunday and kids under 17 are FREE. Admission is FREE on the first Thursday of every month from 5pm-8pm for everyone! Washington Park– One of the oldest and widely known parks in all of Portland. There are over 400 acres of trees, gardens, and the park even has a free play areas for the kids. Make sure to check out Hoyt Arboretum in the park too. It is beautiful any season here, but it is one of my favorite places to go around Portland for the fall colors. This park is huge (not one you drive to one spot, and relax). There are many areas to explore and it will require you drive them, or use the shuttle. We recommend you end on Hoyt street for lunch, some amazing ice cream, I had the best oat milk latte I have had, and some shopping! You can easily spend an entire day in Washington Park! Free Archery Ranges, these are first come first serve, and look like lots of fun! There is a large and fun playground for the kids to enjoy, free of charge. Parking can be tough to find at Washington Park, so consider taking the free shuttle in. The Oregon Zoo, Childrens Museum, Japanese Garden and Forestry Center are all paid attractions in this area as well. Cathedral Park – One of the most amazing parks in the area with huge cathedral-like landmarks underneath St. John’s bridge. A must see for sure! International Rose Test Garden – The scenery in this garden is amazing. The Rose Test Garden can be found inside the Washington Park. Forest Park Conservancy – This is one of the nation’s largest urban forests. Experience a true nature experience with the whole family without even leaving the city limits! Tryon Creek State Park – Hike and explore the nature trails just minutes from downtown Portland. Mt. Tabor Park – This park is a hotspot for families! With basketball courts, paved and unpaved areas, as well as places for picnicing and family game areas there are lots to do! Forest Park – An awesome park to hike and explore nature through the nature trails and hiking areas. Macleay Park – There are several historical sights to see in this park and the landscape is amazing. The park does have nature trails and restroom facilities. Multnomah Falls – This is the states largest natural waterfall. It is a total of 620 feet that old and young alike will enjoy! Sauvie Island Wildlife Area – A great place for families to see tons of aviary wildlife. There is also a lot of bushes and trees to pick produce yourself. Tom McCall Waterfront – There are trails available and areas for picnics and trees and blooming flowers. Portland features several places for public swimming. Check all of the places to swim with the family below. If you are looking for something a bit more unique then the public pools, check out McMennamins non chlorinated salt water soaking pool here. 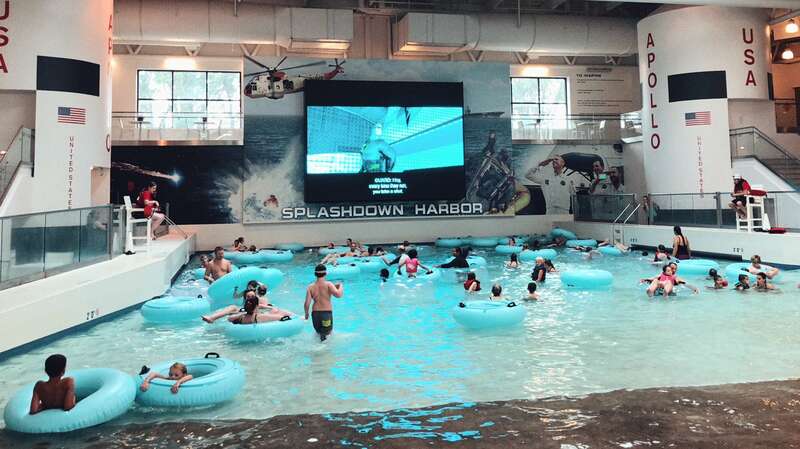 A little ways out of Portland, in McMinnville is the Wings and Waves Waterpark, and it is a great day of water play for the family, if your dont mind a short drive! Punchbowl Falls – This is true beauty of the Pacific Northwest and only 45 minutes from Portland. The circular basin of the falls have created an amazing natural swimming pool you must see. Columbia River Gorge – Such an ideal scenic area of Portland. With views of cliffs and overlooks to the North and waterfalls and mountains to the south there is an amazing view you must see! 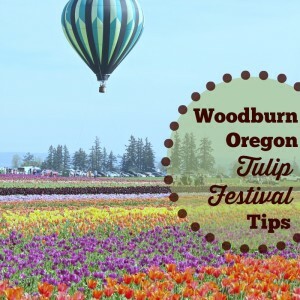 Sauvie Island– This is an ideal spot for families to enjoy a whole day! With access to foods, activities and beach access there are lots to see and do. Warrior Rock Lighthouse– This lighthouse is at the northern point of Sauvie Island and 10 miles northwest of Portland. The sandy trail features Portland’s smallest lighthouse. Movies in the Park– This year parks are featuring 41 movies at 40 different area parks. Grab your blanket and some snacks for a movie under the stars! Concerts in the Park – From rhythm and blues to rock and roll there is music featured at many parks around Portland. Oregon Symphony Concerts– A variety of free shows are available all summer long. Visit the site for an updated calendar of events. Portland Zoo – Home to more than 2,000 animals and a great place for families to visit and lots to see! (They do have a Low Income program if you qualify, to help you save on admission. Details on that program are here). Kerr Bikes – Rent and bike for the whole family and explore all that Portland has to offer. With multiple locations and many options for bikes your whole family will live seeing the sites this way! 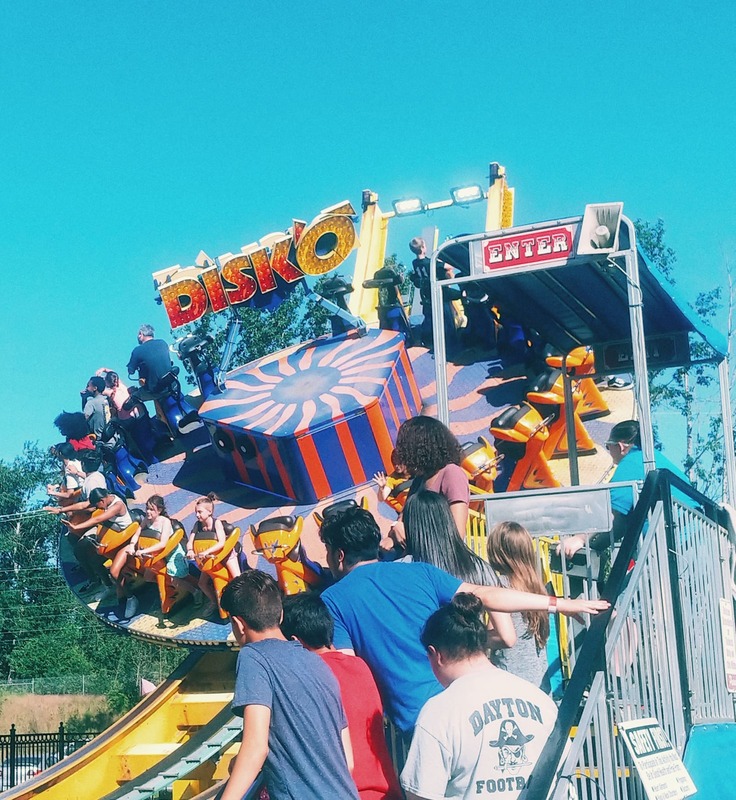 Oaks Amusement Park – With carnival games , concession, and even roller skating there is something for everyone! They offer a bracelet program for admission, and you can find deals on that here. 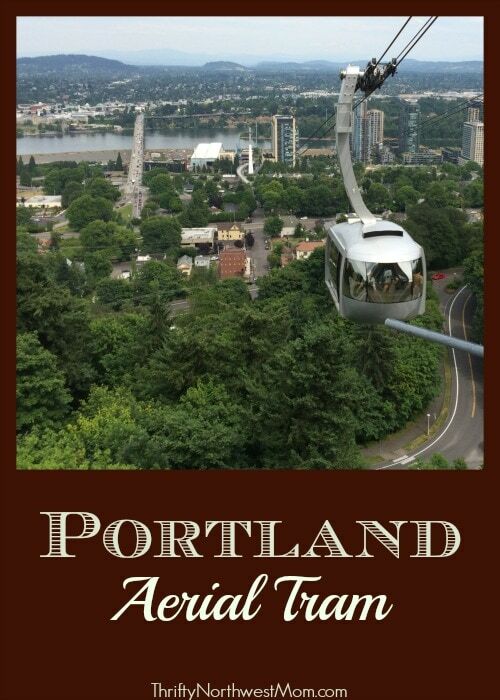 Portland Aerial Tram– How cool would it be to see Portland from the sky! Children 6 and under are free. 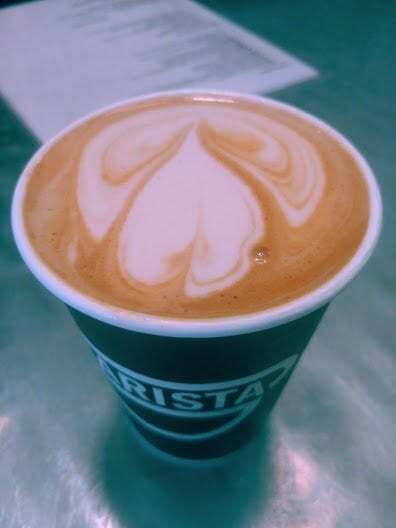 They are open 5:30am to 9:30pm weekdays and 9am to 5pm Saturdays. Goldstar has great deals on local theater events, sporting events, concerts and much more! Groupon has some great deals on a variety of sporting events and other sightseeing options for Portland and surrounding areas. These change every day, so make sure to sign up for emails or check back frequently. Living Social also has some great options to save on activities and entertainment, as well as sporting events, in and around the city. Check out the website for more information. Get My Perks has a number of family fun activities too. Getting outside and visiting a local market is a great way to enjoy the day as a family. Shop for food, check out arts and crafts, and encounter other events within the market for a day of fun! Portland Saturday Market – This is known as the nation’s largest outdoor arts & crafts market! There are tons of arts and crafts to see, artists to visit with, and some really interesting food too! Portland Farmers Market – With farm fresh seafood, meats, produce, and even coffee there is something for everyone in this fabulous open air market. There are over 40 markets in the Portland area that are open all different days of the week. Columbia Farms U-Pick – This farmer’s market is a place where you can go out and pick your own produce. What an amazing experience to do as a family! There are so many places to visit and see in Portland. Here are a few travel tips and extras to make your visit most enjoyable! Portland Street Car – Skip driving and paying for parking and take the streetcar. It is an experience in itself! The street car costs only $2 and you can ride for up to 2 1/2 hours! MAX Light Rail Orange Line – This train services in and around Portland and you can get a day pass for just $5 bucks. We love to use the Max to get in & around downtown Portland and areas around the city as well. Experience the 4T Trail. It is super cool and it is an adventure in itself! The 4T is a trail, tram, trolley, and train that connects one great experience and would make for a great all day trip and it is completely self guided! Check out the maps for biking and walking around Portland. Use the many bridges around Portland as architecture lessons for the kids! They will be amazed. 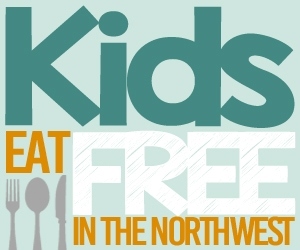 Make sure to check out our list of Portland kid-friendly restaurants such as Mother’s Bistro, the HUB (Hopworks Urban Brewery) & more! Our favorite places to eat in Portland are definitely the food trucks – there are so many amazing food carts to visit! Check out the Portland Food Cart website for a map & list of all the food carts – just be aware that the hours can vary and often they are closed on Mondays & some may only be open for lunch & not dinner. HUB (Hopworks Urban Brewery) – This is a favorite of locals as it has fresh, local & mostly organic options and is very kid-friendly with play areas, affordable kids’ meals and more. Salt & Straw Ice Cream – There are 3 locations in Portland (& locations in LA) & this is definitely the ice cream shop that all Portlanders rave about. PB & J’s Grilled – Home of the best grilled cheese and pb&j sandwiches ever! Pine State Biscuits – The one stop shop for home cooking and homemade biscuits. Bing Mi!– A definite food truck stop serving crepes all day! 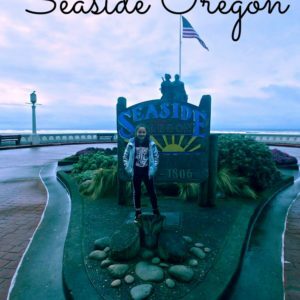 Things to do in Seaside Oregon for families! 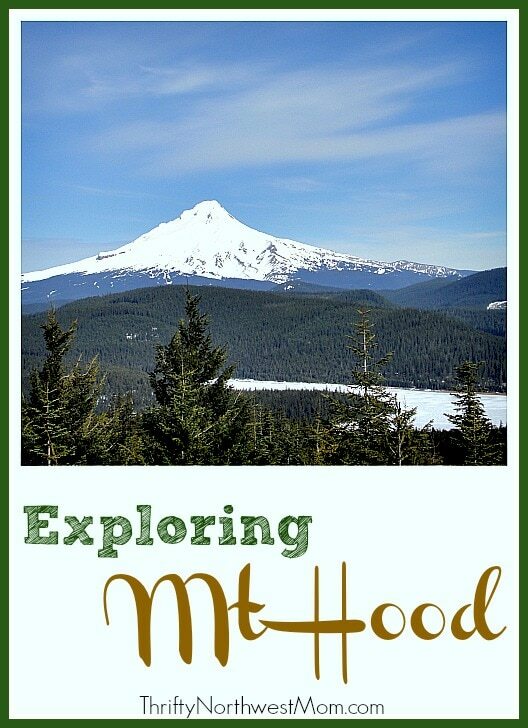 Family Friendly Activities at Mt Hood for all Seasons! 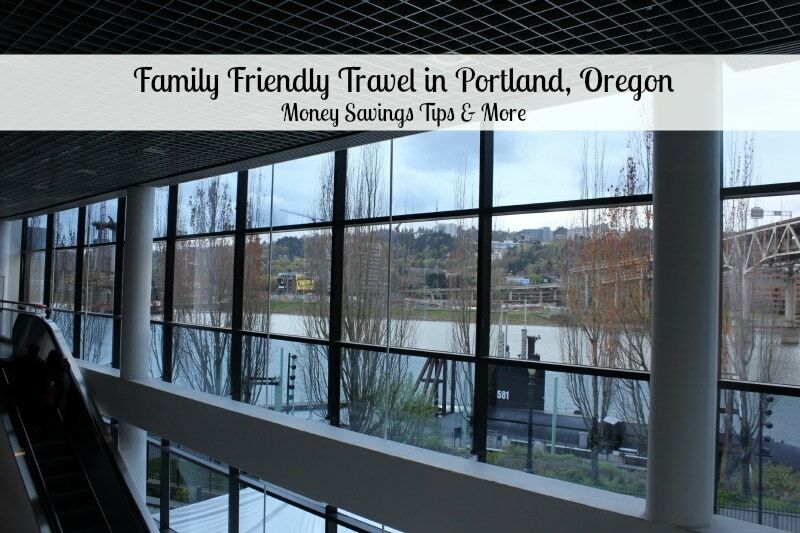 For more ideas, be sure to check out Frugal Living NW’s post here too. 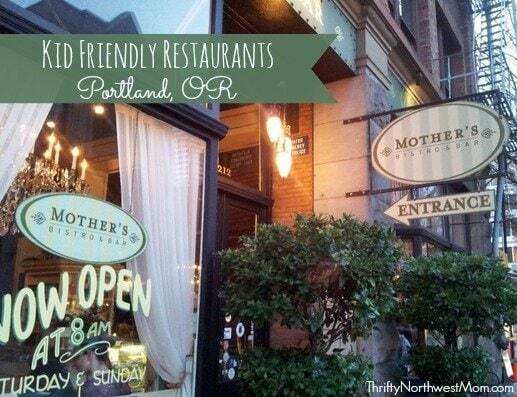 And let us know your favorite restaurants in Portland!